This Saturday we had another rainy day. 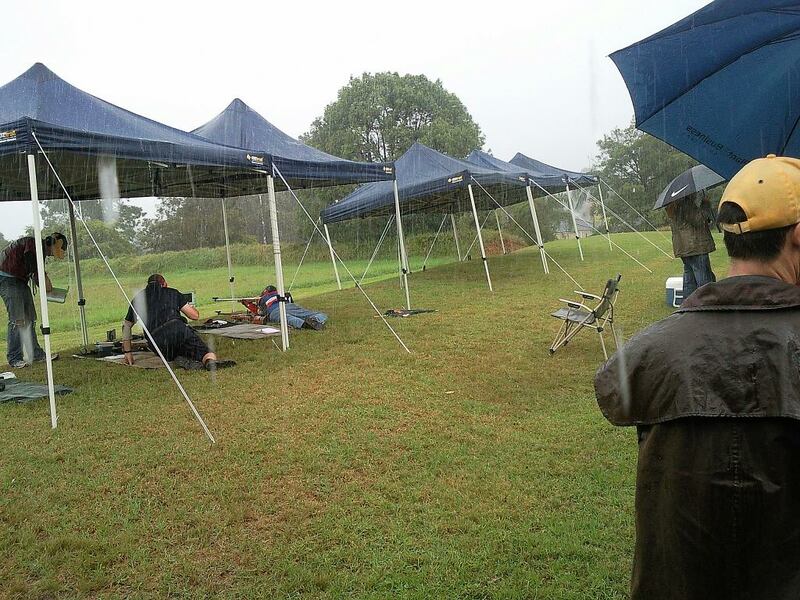 The rain was so heavy that Range Shooting was cancelled by the clubs committee. 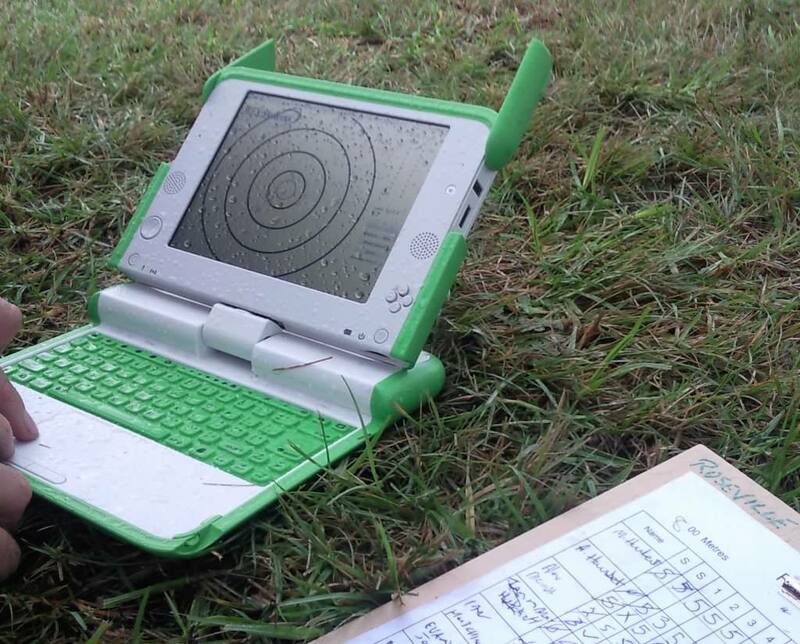 The Roseville Rifle Club raised the electronic target and people from all clubs had the opportunity to shoot. It was raining cats and dogs, the people were shooting from the under the tents, but the scoring monitors were exposed to the heavy rain 90% of time. The monitors withstood this weather for 2.5 hours and continued to function well. We opened up the monitors to inspect them internally afterwards and found only minor condensation behind the screen area, between the glass and reflective surface, which will not affect the performance. So the general recommendation is not to expose unprotected monitors to heavy rain. Wipe water droplets off the monitors. After you finish shooting store the monitors in a dry place. In other words, treat your monitor as you treat your rifle. 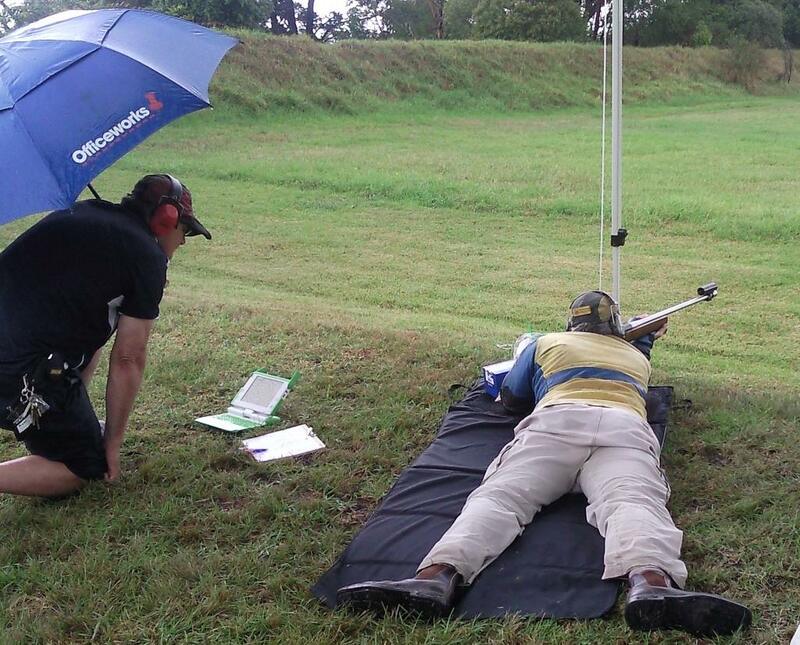 The target frame was exposed to rain continuously. No problems with the target frames or electronics were observed.